“It’s not only for the troops overseas, but it’s also for the entire military,” said grower David Cartner about Trees for Troops. In its third year in North Carolina, Trees for Troops is a program where growers donate trees to be shipped to military and their families around the world. So far, a contribution of almost 12,000 trees is expected to ship. FedEx will deliver the trees to 23 bases in 11 states, plus Afghanistan, Iraq, the Middle East, and the 5th Fleet in the Gulf. North Carolina alone expects to deliver more than 1,250 trees. There are 250 North Carolina growers who are expected to contribute. “Any grower that wants to can contribute a tree or trees,” Cartner said. 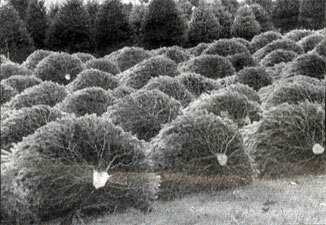 Cartner Christmas Tree Farm donated 25 trees to the cause. “It’s our way of saying thanks to the troops and the military people and supporting the military and the sacrifices that they make to keep us safe,” Cartner said. “I think it’s a good idea, a good cause,” said Anna Trivette, another grower who supported the program this year. “We get a lot of calls this time of year for donations for trees, and we can’t honor all of them,” said another grower, Randall Aldridge. That did not stop his nursery from donating trees, joining the 18 other Avery Nurseries who have donated so far. Avery has already committed to donating 167 trees this season. 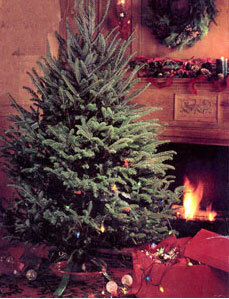 Sponsored by the National Christmas Tree Growers Association, the program is open to anyone. Interested growers are encouraged to bring trees to Jim Rideout at Linville River Nursery on our before December 4, when FedEx will pick them up and deliver the to Fort Bragg on December 11.